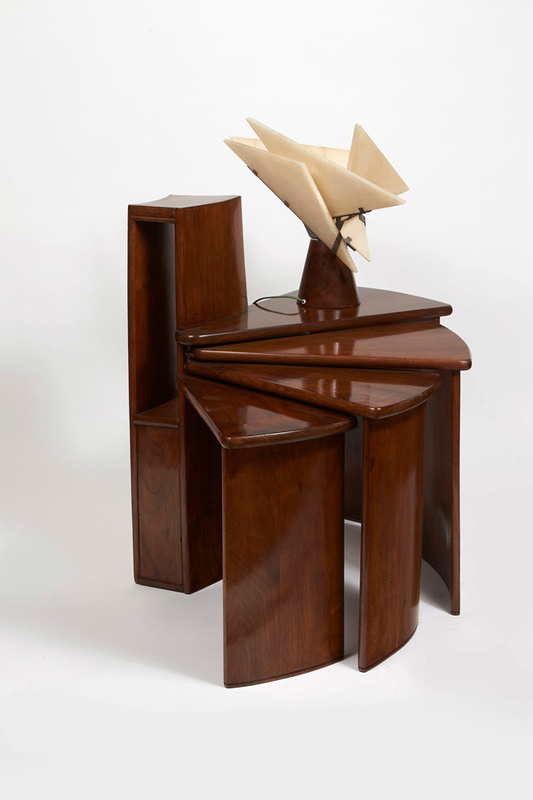 Pierre Chareau: Modern Architecture and Design at the Jewish Museum is the first-ever U.S. show on the French designer and architect and the first show on Chareau globally in 20 years. It highlights the architect’s rare remaining furnishings, lighting fixtures, interiors, and pieces from his art collection. The exhibition was designed by Diller Scofidio + Renfro (DS+R) and Liz Diller was present for the show opening. “Chareau was always a hero of mine in school, but I couldn’t quite figure him out,” she said. “Decorative, functional, rubber, metal, glass, mahogany, Marxism, hinges, things that swing, clinical, gynecological, lush, and idiosyncratic most of all. This opportunity really gave me a second chance to learn about this figure.” Chareau, who left Paris in 1940 after Germany occupied the city during WWII, lived in New York for ten years and attempted to rebuild his career in the U.S., expanding his work into metal and glass and landing commissions such as Robert Motherwell’s house in East Hampton, Long Island. During this time his extensive art collection was sold, including pieces by Picasso and Mondrian, and his designs were similarly scattered. The show attempts to reconcile these losses by piecing them together in cohesive ensembles. Another one of the challenges for the exhibition, Diller said, was to resituate Chareau’s rare works without resorting to full period rooms that—for spatial and aesthetic reasons—weren’t ideal. 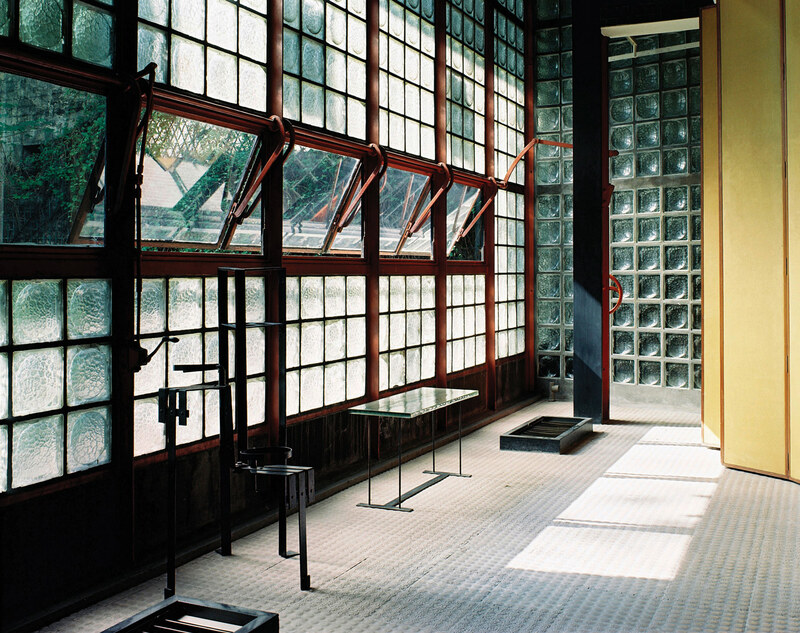 Instead, the firm used archival photographs and pochoir prints to recreate four interiors designed by Chareau in virtual reality for visitors to experience: the salon and garden of his seminal Maison de Verre, a living room he designed, and Chareau’s own home office. 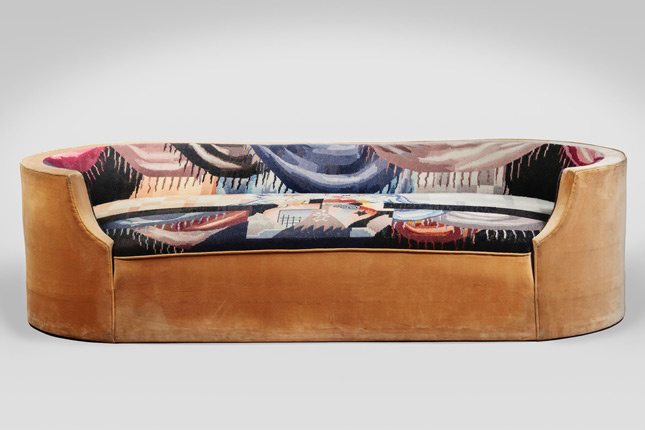 “Very little of Chareau’s interior production survives—a private residence an ocean away and an array of singular furnishings that are in museums and private collections dispersed to all corners of the world. These solo pieces are meaningful in their native settings, but removed they lose their relationship to space, to architecture, to time, to function; they are truly orphaned. Virtual reality provided the perfect opportunity to re-spatialize these artifacts, these pieces of furniture,” Diller said. For the Maison de Verre, DS+R wanted to convey the spatial transparency and the open, industrial aspects of the building. Taking a clinical, analytical perspective, DS+R created a large-scale digital reconstruction that meticulously documents the house as short films art-directed by Diller demonstrate the house in action. 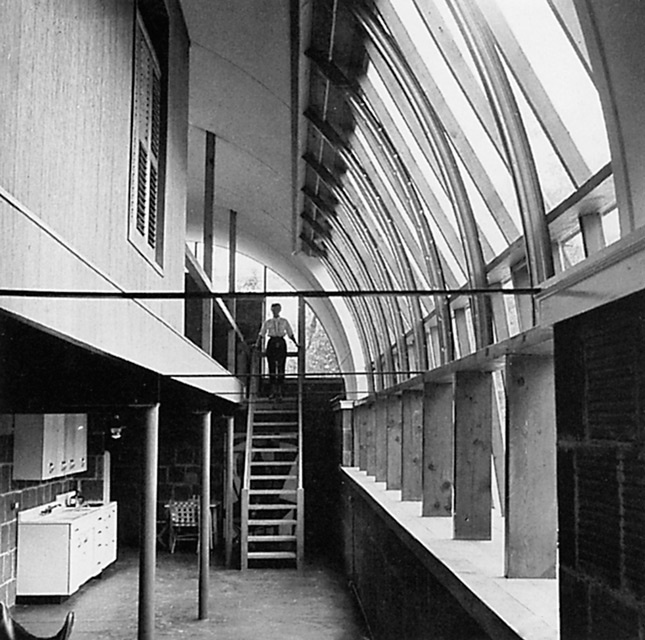 Pierre Chareau: Modern Architecture and Design will be on view at the Jewish Museum November 4 through March 26.